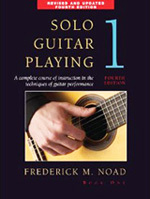 Tuning an electric guitar, or, to tune a 6 string guitar in general, can be done quiet easily, even by the beginning guitarist with a little practice. Inexperienced guitar players sometimes have a little difficulty with hearing exact pitches of tone, and some tuning instruments rely on you to be able to hear the distinctions between these tones. However, because there is quite a selection of guitar tuners available, relying solely on your ear to tune your guitar is not always necessary. It is merely a task of finding a 6 string guitar tuner that best suits your needs. Below you will find some helpful acoustic guitar tips on how to tune your instrument and the various devices used. A tuning fork is one of the most easiest and convenient ways to tune a 6 string guitar. I believe it is probably one of the most accurate tuning devices as well. The tuner that is set to the most common setting of A440 emits the sound of the “A” string, which is the 5th string from the bottom. The tuner is inexpensive, portable, and can fit easily in your guitar case. There are several types of tuning forks that emit different tones, but the A440 is considered as standard pitch, and all other notes are tuned in respect to that pitch. What this means is that when you vibrate the fork, it produces a 440HZ tone that is equivalent to the harmonic “A” of the 5th guitar string at the fifth fret. Harmonic tones are produced by lightly touching the guitar string (or strings) with the left hand directly over the fret and than striking the string with the right hand using a pick. In this case, you would lightly touch the 5th string directly over the fifth fret (with your finger fully extended) to produce the harmonic “A” tone. How to use a guitar tuner such as the tuning fork to tune an electric guitar or an acoustic guitar is fairly straightforward. Sit in a chair holding your guitar in a typical playing position. Hold the stem of the fork and strike the tines lightly on your knee to make it vibrate. Quickly place the stem directly on the body of the guitar near the sound hole and pick guard. You will hear a high pitched tone that resonates from your guitar, a sound caused by the vibrating tuner. Now, produce the harmonic tone of the 5th string by lightly pressing your finger above the fifth fret and striking the string with the right hand as described above. Tune the string to the sound created by the tuning fork. You may need to repeat the process several times until tuned correctly. If you find this method somewhat difficult to do, which the beginning guitarist may have trouble with producing harmonics, simply use the open “A” string (open means the string is not depressed) and tune the string to the tone produced by the tuning fork. Be aware, though, that the tuning fork is producing a note that is an octave higher (exact same note but a higher pitch) than the open “A” string, so tune accordingly. Once the “A” string is tuned correctly, the other guitar strings can be tuned without further use of the tuning fork. Simply fret the “A” string (hold it down with the tip of your finger) at the fifth fret. This will produce a “D” note, which is the note the 4th guitar string will be tuned to. When the “D” string (the 4th string) is tuned, fret it at the fifth fret to sound a “G” note, which is the tone of the third guitar string. After tuning the 3rd string, fret it at the fourth fret to produce the sound of the 2nd or “B” string. After tuning the 2nd string to “B”, fret the 2nd string (the “B” string) at the fifth fret to produce the sound of the 1st or “E” string. Once complete, tune the 6th or top string to “E” by striking the 1st or bottom “E” string and tune to match the tone produced. Remember, the top bass string will be two octaves lower than the bottom string. Once you learn how to use a guitar tuner like the 440HZ tuner, it is my opinion that it is the simplest and most accurate method. However, there are many other devices you can use for tuning an electric guitar. Though the pitch pipe is not quite as accurate as a tuning fork it is very easy to use. Pitch pipes are available wherever guitar accessories are sold and are inexpensive. Pitch Pipes give the pitch for all six strings and you simply match the pitch to the sound of the pipe. For the beginner guitarist pitch pipes will work just fine, but I wouldn’t recommend this tuning method for the advanced guitar player. Electronic tuners give the individual pitch for each of the six guitar strings. They are fairly accurate but I don’t think they are quite as precise as the tuning fork. Electronic tuners have a setting that allows you to monitor the sound to see if it is flat, sharp, or on pitch. Disadvantages of an electronic tuner are that it can be relatively expensive and you need either batteries or an electrical outlet for it to function. Probably the easiest way for tuning an electric or acoustic guitar is by using a keyboard or piano, provided the piano is well-tuned. Both the keyboard and piano offer a loud and clear pitch that makes tuning a guitar extremely simple. Of course, you must be familiar with the keyboard or piano keys to make sure you are tuning to the right note. The obvious disadvantage is that these instruments may not typically be readily available.